It couldn’t be easier for wearers to personalize their BEYOND™ app. The BEYOND app can be customized to adjust various sound settings and listening programs to suit their individual preferences. Settings can be modified with personal pictures and specific sound templates to be used in various environments – such as a favorite restaurant, when visiting family and friends, or any other social situation. It features specially designed streaming templates for music and speech, which take into account the type of input the wearer is listening to. For example, listening to a podcast is not the same as enjoying the wide range of dynamics in music. But don’t take our word for it. Studies show that test subjects rated the sound of BEYOND significantly better than other comparable products. 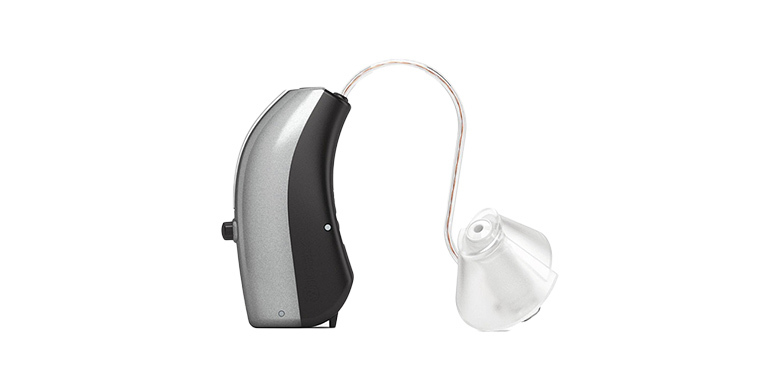 At Widex we know how important it is for hearing aid wearers to stay connected to the world around them. With TRI-LINK™ technology, the possibilities are infinite. Widex PURE-LINK™, a customized 2.4 GHz wireless input handling system, allows for direct streaming and unmatched sound quality.